RealCadence is a game changing platform for managing multi-site operations developed by Voloforce in the US. Ajar Technology is Voloforce’s UK partner. 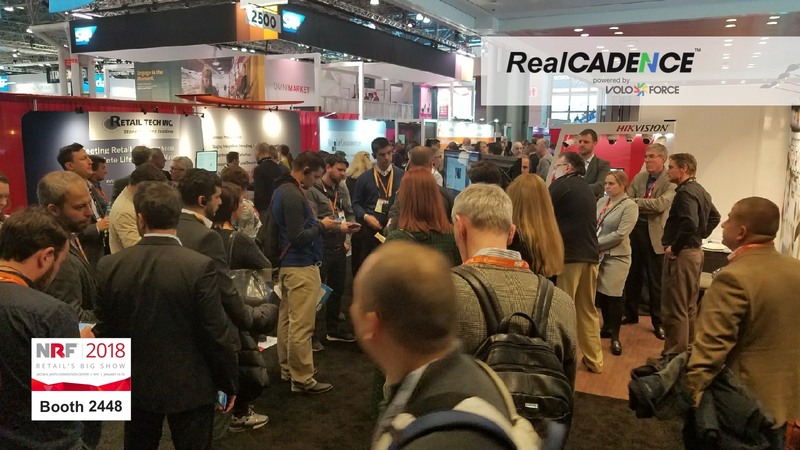 RealCadence occupied a stand-out booth at the NRF Retail Show in January 2018 which takes place over three days at the Jacob Javits Convention Centre in New York and made some excellent introductions to top tier brands such as Apple, Walmart Boots Alliance, Next, Marks and Spencer, Nike, Subway, Ralph Lauren, Capgemini, Estee Lauder and Clarins. The NRF Retail Big Show is the world’s most important retail conference, bringing together the largest gathering of industry executives from across the globe. Attendees learn the latest retail trends and get an unparalleled view into how retail brands of all sizes are transforming themselves for the digital age. The event offers unique networking opportunities and a glimpse of the latest technologies and solutions for retailers. Download the RealCadence Brochure now.